The Taiwanese hardware maker Micro-Star International (MSI) has started the sales of a yet another company all-in-one (AIO) personal computer. The novelty is known as AP200 and targets corporate customers. The AP200 measures 495 x 359 x 91 mm and weighs 9 kilograms but these specs pack a lot of hardware power. The device is also remarkably flexible allowing the user to put the display in portrait mode when working with the sensor display; you can also easily dismantle the stand in case of need. The MSI AP200 is based on Intel Pentium G3220 or Core i3-4130 processors from the Haswell family and relies on Intel HD graphics. The machine also has 4 GB of RAM, a 500 GB hard drive, a DVD SuperMulti drive, Gigabit Ethernet, 802.11n Wi-FI, HDMI, a card reader, USB 2.0 and 3.0 ports, speakers and a 1 MP camera. 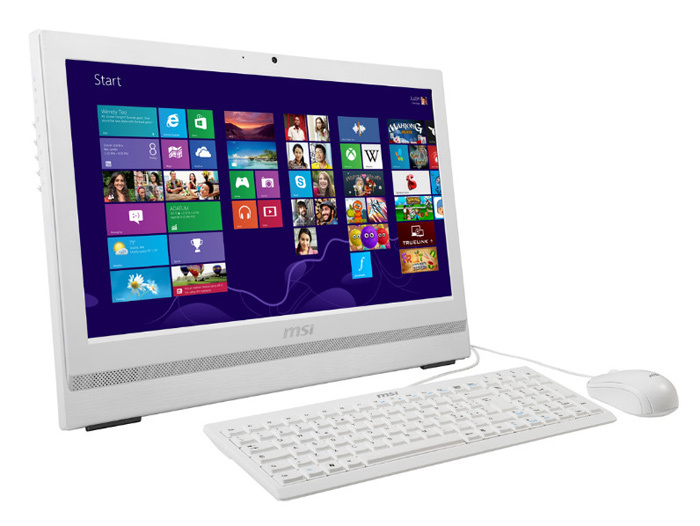 The new AIO PC runs Windows 8.1 right out of the box but as of now the price is unknown.